Manufactured using premium quality top-coated thermal paper, Thermal Direct labels are ideal for barcoding and shipping labels. SKU: N/A. Categories: Printer Labels, Supplies & Accessories, Thermal Direct Labels. 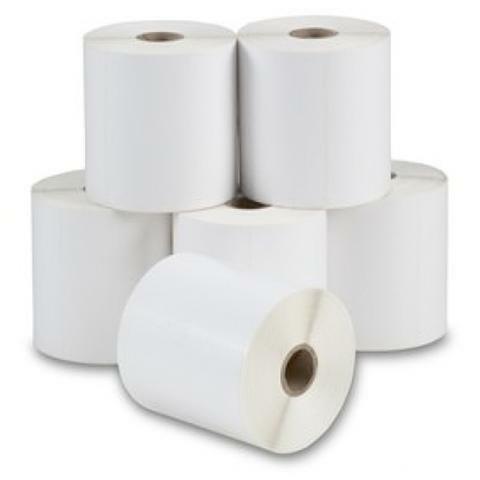 Thermal Direct labels are manufactured using premium quality top-coated thermal paper, ideal for applications such as barcoding, where stored away from sunlight and heat, or not requiring a long life span. The smooth topcoat resists moisture whilst also protecting the print on the label, as well as the printhead of the label printer.